When people who have heard of her but have not met her finally do, they are taken aback. 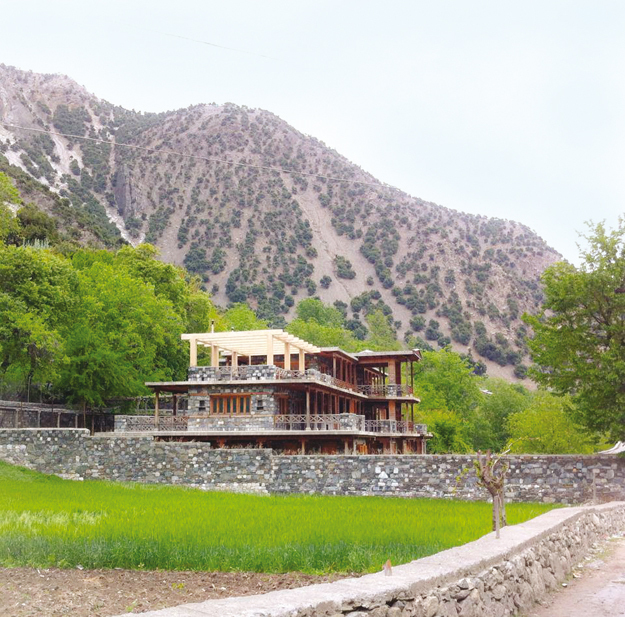 The head of Bumboret Museum—an archaeologist no less—named Sayed Gul Kalash is not a man. Images from the Kalash valleys portray women as a strong, confident ilk, even if the photographs are run-of-the-mill shots of festivals focusing on the colourful attire. Kalasha women come across as in control, unabashed and bold. As does 27-year-old Gul. Working her way around obstacles both natural and manmade, Gul became the first archaeologist from the valley, and a globally recognised one at that. In 2013, National Geographic added Gul to their Emerging Explorers programme. “The journey across rugged mountains to cities in the country has never been easy,” the Bumboret native tells The Express Tribune. But that didn’t stop Gul; not even the 30-kilometre journey from her home to her college in winter. “I would just hang on tight to my bags and find my way to Chitral on foot,” around routes blocked by snow. Even on a bright summer’s day, the journey is an arduous one as worn and tattered roads greet travellers, even though Kalash is a tourist destination. Gul started piecing together her career before she completed her Master’s degree in Archaeology Studies from Hazara University. While Gul was still in college, she worked for a Unesco project in collaboration with Abdul Wali Khan University. For her later work, in Bumboret, the explorer names at least eight sites where she made substantial discoveries in an attempt to piece together the history of the Kalasha; their journey from the town of Chitral to Bumboret and other valleys. Within the sunken village and the grave sites she discovered, Gul says she wants to be able to verify whether what oral history says is indeed true. (1) Archaeologist Sayed Gul Kalash. PHOTO COURTESY: SAYED GUL KALASH. Before she joined the Bumboret Museum as a government employee (where she manages a team of nine) in the August of 2010, Gul voluntarily helped found Kalasha Dur, a museum aiming to preserve the history, culture and art of the Kalasha. 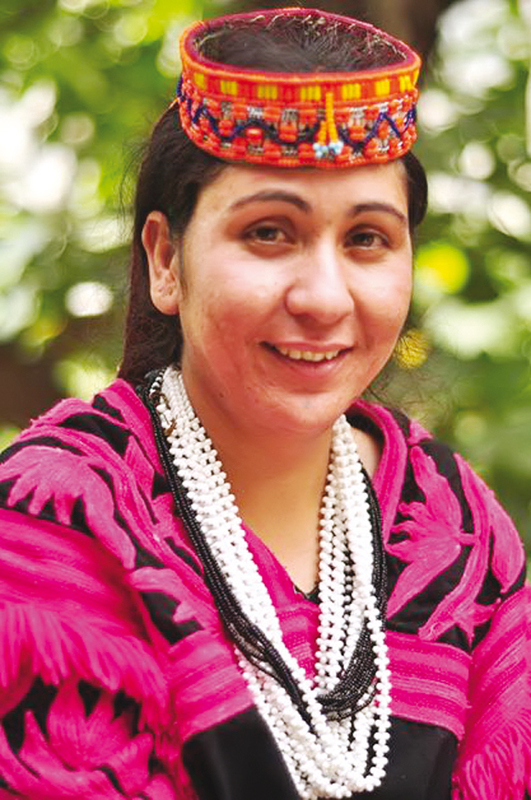 Kalasha Dur, she says, has preserved the unique Kalash culture for future generations and the centuries-old artefacts are a great attraction for tourists and locals. “Everything present there has been gathered by me and sponsored by the Greek government,” she tells The Express Tribune, dressed in her traditional Susutr (headdress) as she enthusiastically receives guests at Bumboret Museum. 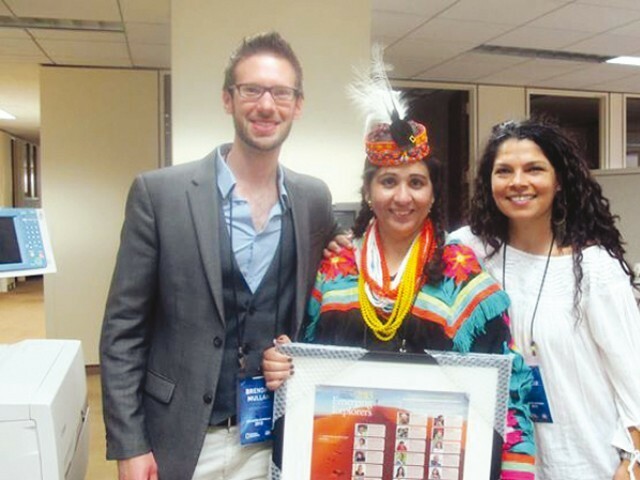 As Gul is currently not involved in field work, she prefers to wear the traditional black robes and beaded headdress. However, talking to her, one gets the distinct feeling Gul would not let something as insignificant as clothing get in her way. Living in a wooden house in front of a PTDC motel, the archaeologist receives dozens of visitors a day and is one of the most prominent personalities of her area. “Many people think they are coming to meet a male archaeologist and are truly stumped when they come across a woman,” she jokes, making a reference to her first name. After Gul, the name Sayed will retain a more androgynous quality and might come to reflect the qualities of strength and perseverance she has used to establish herself with. But, Gul says, for her, the problems begin and mostly end at home. “Masla sab seh ziada ghar peh hota hai.” My family is the one with the biggest issue with me working as an archaeologist, she says. “Every daughter of the valley wants to become Sayed Gul and bring a positive change to their lives, but a lack of resources stops us,” says Nasira, a resident of Bumboret, as she presented dried mulberries to those visiting her home. “I have four daughters and all of them are studying in different grades at local government schools.” Her three sons could be seen playing outside; another reminder of how the Kalasha girls or boys are not bound by as many gender roles. Nasira adds that she wants the same respect for them as Gul elicits. But the area lacks educational facilities. In fact the population of a few thousand is still partially agrarian and partially dependent on tourism. With few opportunities to make money, many live below the poverty line. Even maintaining their culture is a burden on the Kalasha; the headdresses they like to sport can cost as much as Rs20,000, also making it a very expensive souvenir for tourists. But after the story of Gul, many of the Kalasha are determined to overcome all obstacles the same way the first archaeologist of Kalash did. Published in The Express Tribune, October 13th, 2014. AJK Tourism and Archaeology Dept has mandate to identify and preserve historical sites. Great! We are all so proud of you, Gul. You are great lady,you are a role model for all women of Pakistan. You have become my inspiration. Yes, they are a pride for Pakistan. But also a disgrace for Pakistani Muslims who forcibly covert them to Islam, or marry them. In fact the govt of Pakistan should be giving them development Aid. As the Kalash people are a source of revenue generation for tourism. Pakistani Muslims, must learn to be more tolerant of other Pakistanis.